A young girl seated in a chair covered with a tapestry. She wears a dress with a gathered bodice that includes the short sleeves, a waist above the normal waistline, and horizontal tucks in the skirt. She wears a gold locket on a chain about her neck. Her shoes are low boots with laces, and she wears long stockings. Her locket, cheeks, and dress have been tinted. 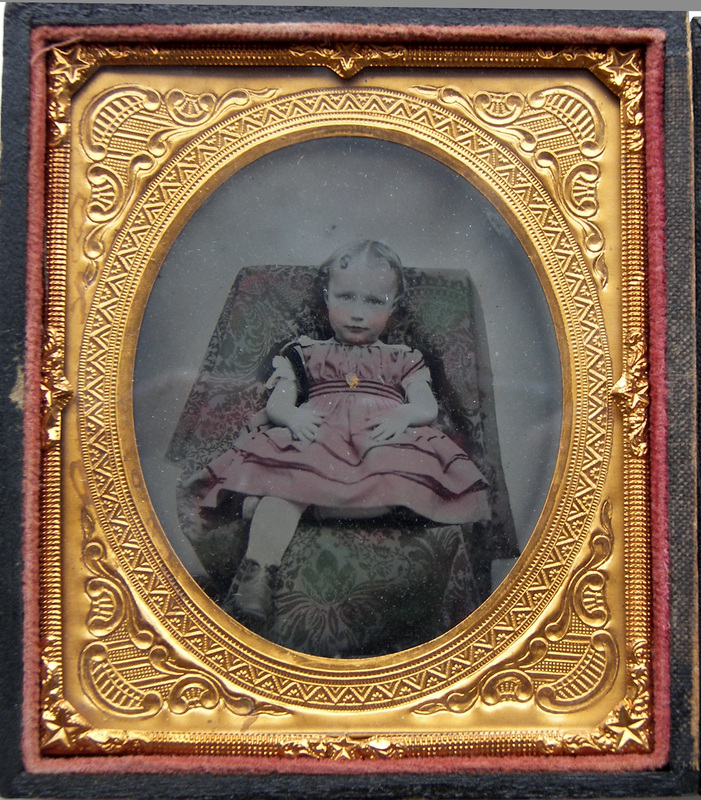 Daguerreotype in a sealed case. Title by cataloger. This appears to be the same child as in another daguerreotype with her mother.